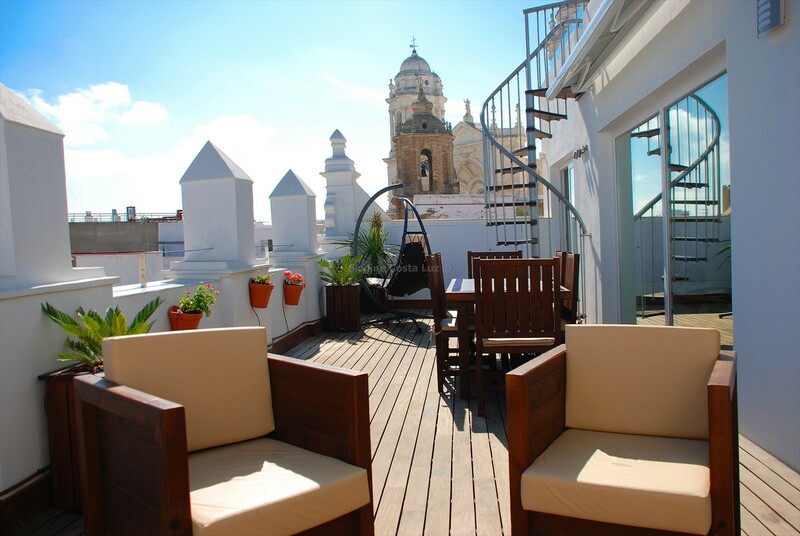 Spectacular and luxury penthouse located in the historic centre of Cadiz town, boasts amazing views of the millenium old cathedral and 360 degree views of the old town and the Atlantic ocean. 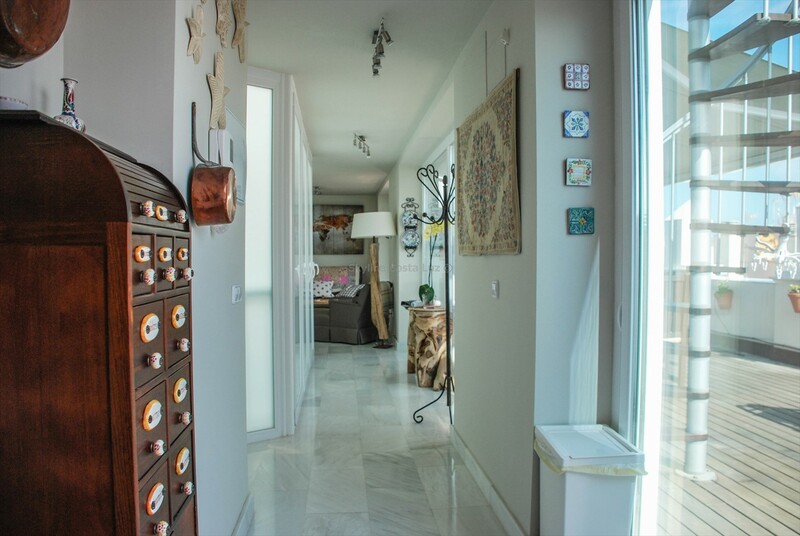 A one of a kind property, situated only steps away from the cathedral and the plaza is located high above the roof tops of this beautiful and traditional town. Take a walk through the cobbled streets, to the central market, boutique shops and roman ruins, you will be whisked back into history with its blend of ancient and contemporary architecture. 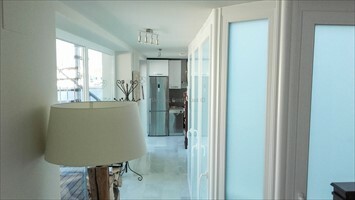 The modern, recently built apartment comprises of 2 bedrooms, both with sea views and integrated wardrobes. The comfortable living room leads out to the wonderful private terrace of approx. 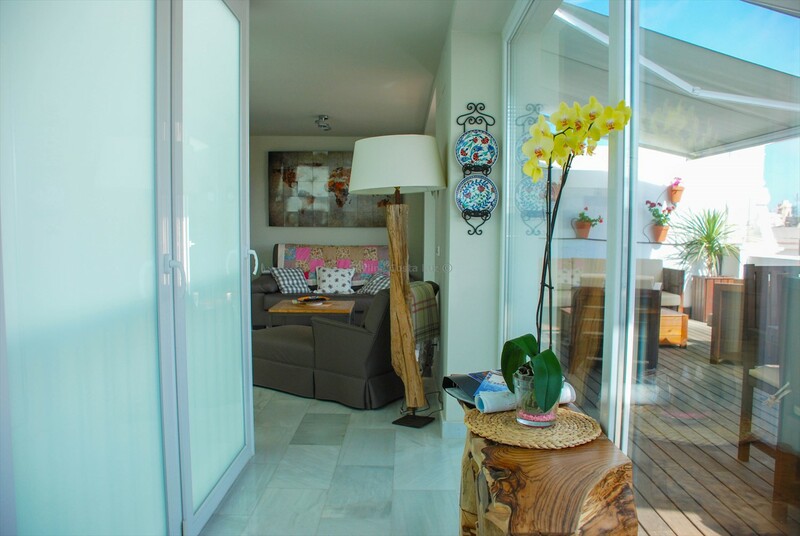 50m2, where evenings can be spent dining, relaxing and enjoying with family and friends. A fully fitted modern kitchen complements the property with a spacious bathroom. 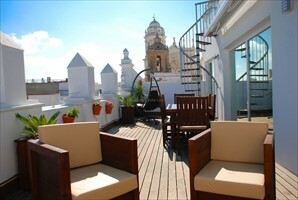 The main terrace is connected to a private roof terrace via a spiral staircase. 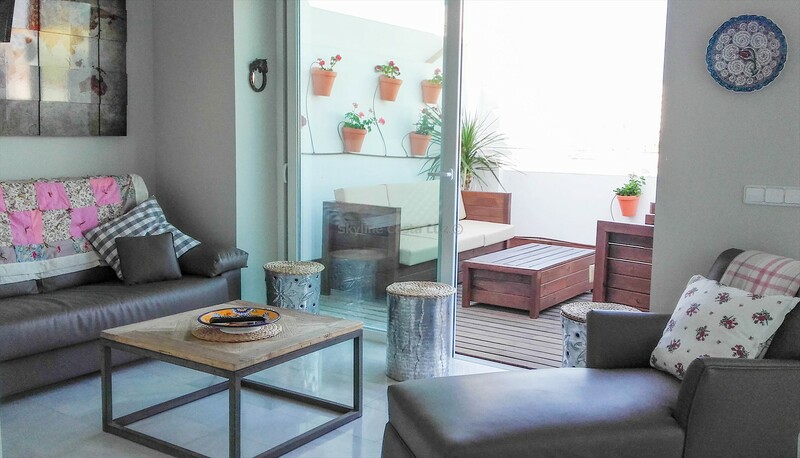 Here you will enjoy breathtaking views of the entire town of Cadiz and with its elevated position, incredible views of the cathedral and the Atlantic ocean. There is also a hot tub here, which during an evening will relieve all the stresses of sightseeing, during the summer and winter months watching the lights of the town sparkle amongst the star lit sky. The penthouse is fitted with air conditioning throughout and the building benefits from a lift/elevator. It is also wheelchair friendly. There is public underground and overground parking available within 100m of the property and at very affordable daily and weekly prices.